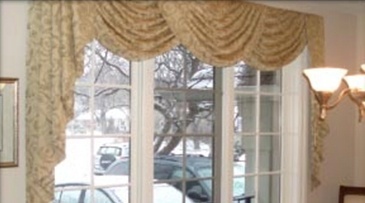 Marilyn and her gifted team of professionals design and sew custom curtains, drapes, roman blinds, shades and accents using only the finest quality materials and accessories. 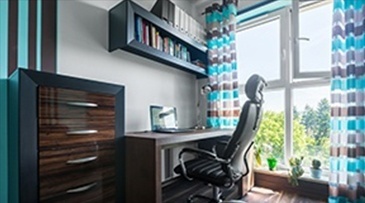 Premium-quality blinds, shutters and fine hardware diversify her portfolio so you can be free to design your office space. Transform any office space into a grand retreat with elegant paneled drapes and two-story full length drapes. Enhance the design of your office with box pleat valances, Windsor swags, bishop sleeve panels, and more. 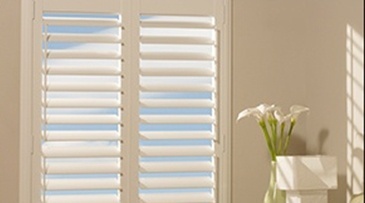 Stylized blinds and shutters are an excellent choice to customize the design of your commercial office. 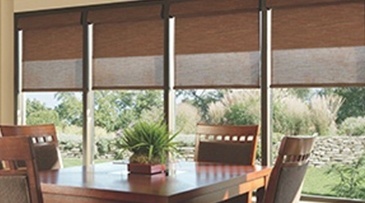 Our window treatment experts will help you custom design your shades to give your office space a stylish and aesthetic look. Contact Marilyn's Windows & Interiors, to know more about the commercial window treatment design and window covering services we provide across Oakville, Burlington, Mississauga, Georgetown, Milton and surrounding areas.